After configuring the device’s IP and other settings via USB from my Windows desktop using Drobo Dashboard, I created a 1TB, unformatted volume. I did not enable CHAP, but it can be easily configured on the machine. I also disabled SELinux on this test box. **note** your Drobo must be on the same subnet as your server. 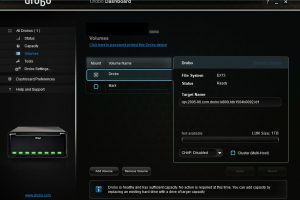 I installed the iscsi initiator utilities. List out the /proc/partitions file to see the devices that you have currently. 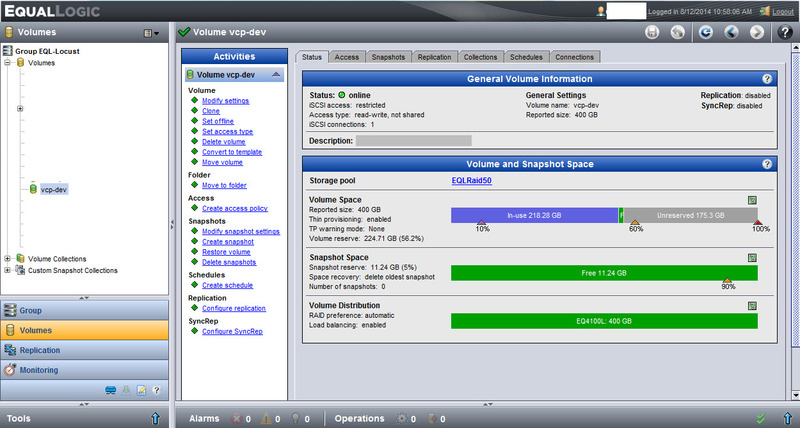 Once you login to the iSCSI volume, a new one will appear and that’s the one we’ll format. 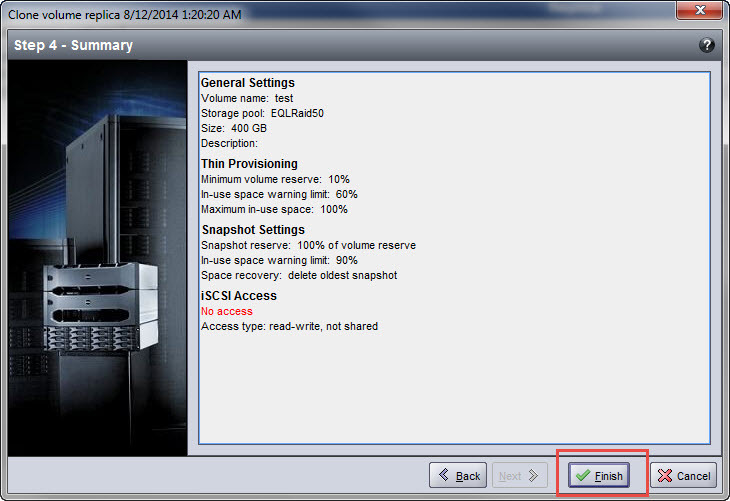 Add the target name to /etc/iscsi/initiatorname.iscsi file, save and exit. Use the iscsiadm command to discover the target. 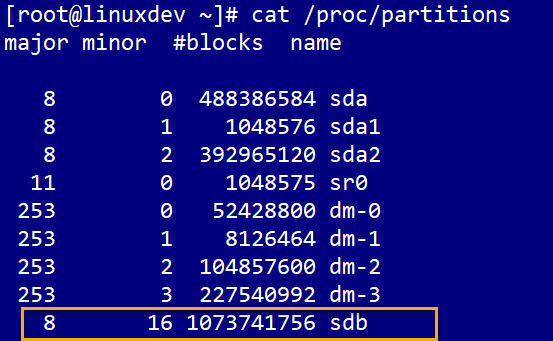 List out the /proc/partitions file to see the new disk. 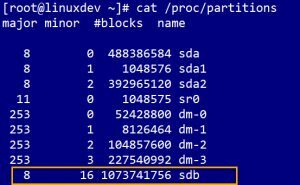 If the login is successful, run the dmesg | tail command to see if the kernel sees the logical blocks. Time to partition the device. Read this blog post and make the adjustments. 2048s is a good choice for the starting sector. If it returns 1 aligned, you’re good to go. 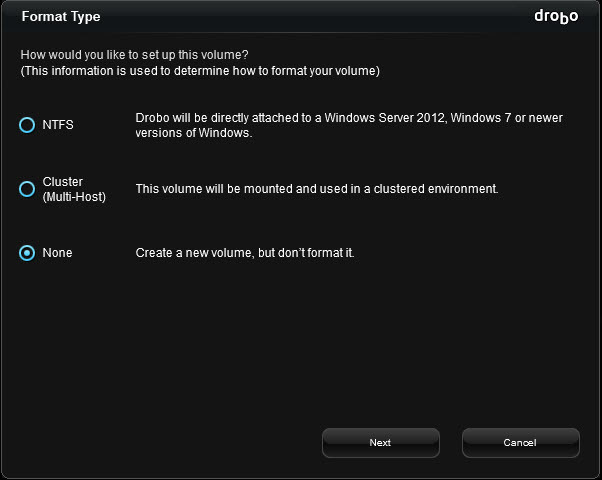 *note* I’d read that this Drobo didn’t support ext4 and after formatting the volume, I found that to be false. Check the file system disk space usage. All volumes on the Drobo were ‘visible’ in file manager. If you have multiple volumes on the target, you’ll see them all in GUI file manager. Adding it to /fstab didn’t matter, since the name changed after every reboot. They show as ‘on my computer’ and when I click on the drive, it mounts to /run/media/username/some-really-long-number-and-series-of-letters. The media directory isn’t even present under the/ run director after a reboot. It only appears once I click on the disk in the file manager. 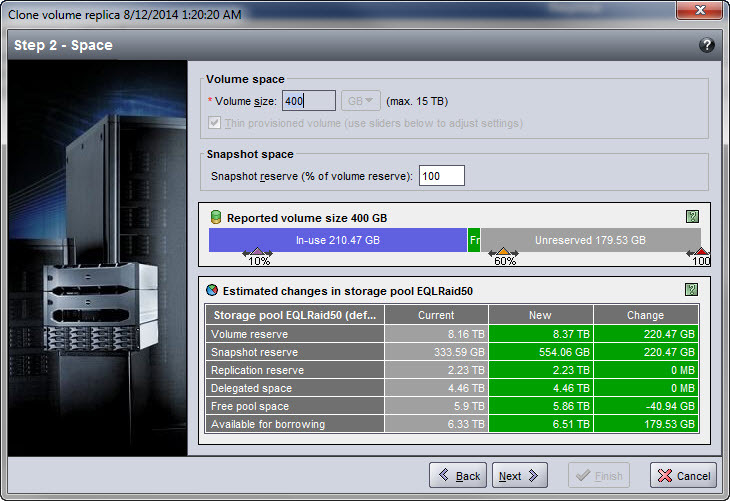 I’ve read a few blogs where it’s better to present the Drobo as 1 large volume to a Linux system. I formatted it as ext3 just fine. I’d read in another blog that it doesn’t support ext4. I didn’t find a definitive answer in the online guide to confirm or deny it until I saw the above mentioned alert in the dashboard. You can set the target to login and mount at boot by editing the /etc/fstab and by using the iscsiadm command to set it to automatic.